With the year’s busiest construction season in full swing, many workers around Atlanta face a risk of serious injury caused by employer negligence. Some of the most serious injuries occur during trench collapses. The Occupational Safety and Health Administration says that trench collapse accidents kill almost two construction workers each month. The sad fact is that many of these accidents are entirely preventable. A trench collapse typically occurs when large quantities of soil that have been dug out and stacked on the trench walls quickly pour into the trench. Workers may be buried in suffocating mud before they have the chance to escape or before other workers are able to react. Death in such cases is the result of asphyxiation. 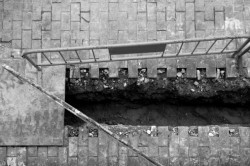 Almost all trench collapses are the result of negligence by an employer, supervisor or other personnel at a construction site who fail to make sure that a trench is safe for workers to enter. Every employer has a responsibility to make sure that a trench is protected before workers are permitted to enter. This includes shoring the walls of the trench, using metal, wood and other materials to make the walls stronger to avoid a sudden avalanche of soil. Even emergency personnel may not be able to enter a trench quickly because of fear of another collapse. The delay in rescuing a worker only increases his chances of death. The Occupational Safety and Health Administration also recommends that excavated materials and equipment be placed at least two feet back from the edge of the trench. Trenches should be inspected daily by a knowledgeable inspector.